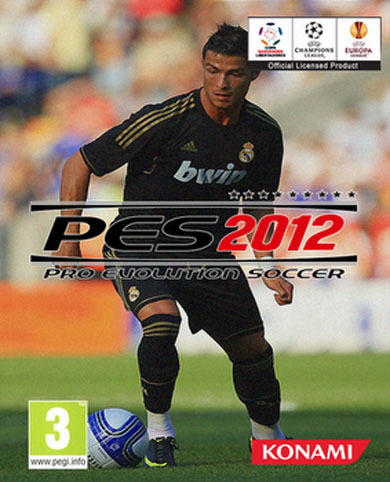 Cristiano Ronaldo will be the cover of PES 2012 in all platforms. Pro Evolution Soccer is one of the most popular video games in the World and KONAMI decided to switch their cover star player from Barcelona's Lionel Messi, to Real Madrid's Cristiano Ronaldo. 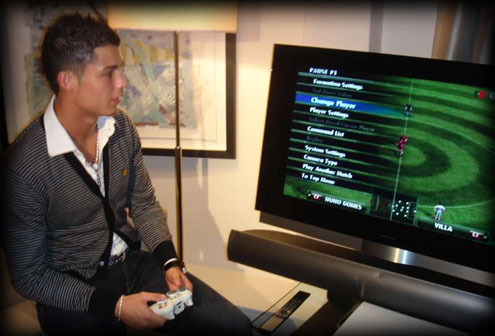 The European PES Team Leader, Jon Murphy, commented: "Cristiano Ronaldo embodies and represents many things that we will attempt to achieve with the new title PES 2012. CR7 is quick, skillful, with a great game vision and a constant threat when attacking any defense. The way Ronaldo faces any match just sends a positive energy about this sport, with all his movement and tricks. We are truly delighted that Cristiano Ronaldo agreed on working with us and being the face of this new title in the PES series." 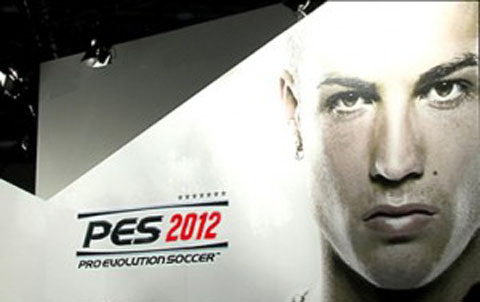 Cristiano Ronaldo was also quoted commenting about this new partnership with KONAMI and PES 2012: "I've been a fan and admired the PES series for quite a while. 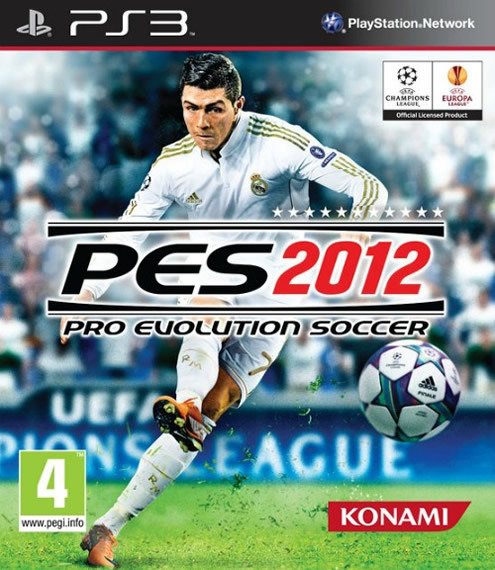 However, this year KONAMI exceeded expectations and the final result with PES 2012 is truly remarkable." Ronaldo then added: "This is what football should be about: team work, passing and great assists, as well as runs that allow us to create attacking opportunities and chances to score. 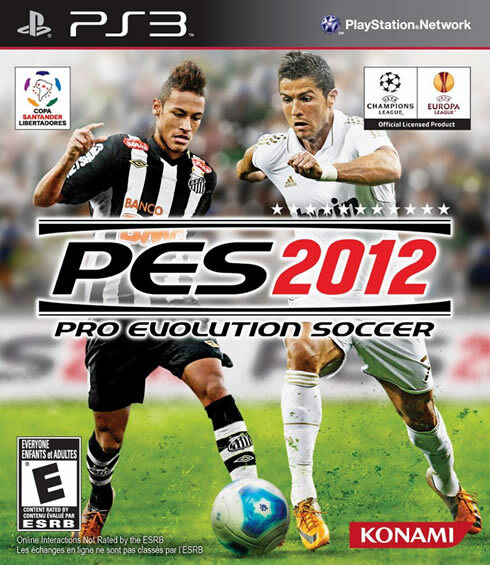 I think KONAMI really managed to replicate that and PES 2012 will be a very reliable simulation of a real game. If you are a football fan, then I'm sure you'll want to buy this title and spend some time with spectacular video game. - Teammate control: Players can prompt runs or control two players at once. This improvement could finally make the game stepping above the rest, by allowing more intelligent movements and creating better team plays. - Active AI (Artificial Inteligence) system: It assures that teammates work to create space and make key attacking and defensive runs, winning positive interactions from the crowd, watching the game in the stadium. 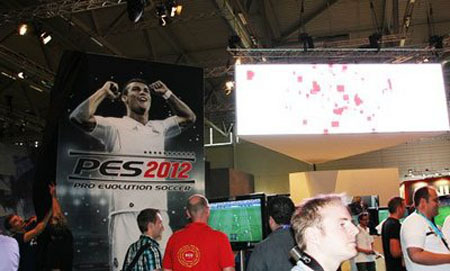 PES 2012 screenshots: We'll also update this post with more gameplay pictures by the time PES 2012 demo comes out.